I’ve been playing around with Huda Beauty Overachiever Concealer for a few weeks now. I’ve been sitting on this review for a while now, even though the product launched because I wanted to test it with all of my favorite foundations and in as many as different situations as I could. 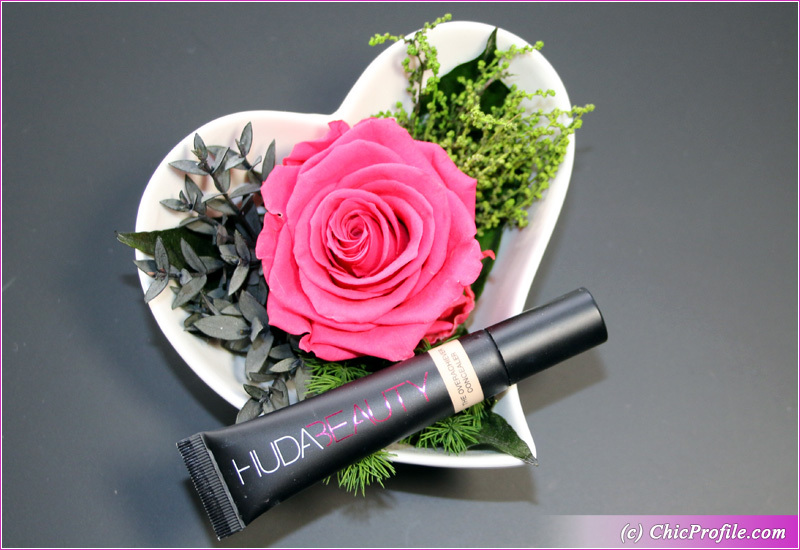 First of all Huda Beauty Overachiever Concealer is said to be packed with 31% pure pigment which means a hell of pigmentation and full coverage effect. 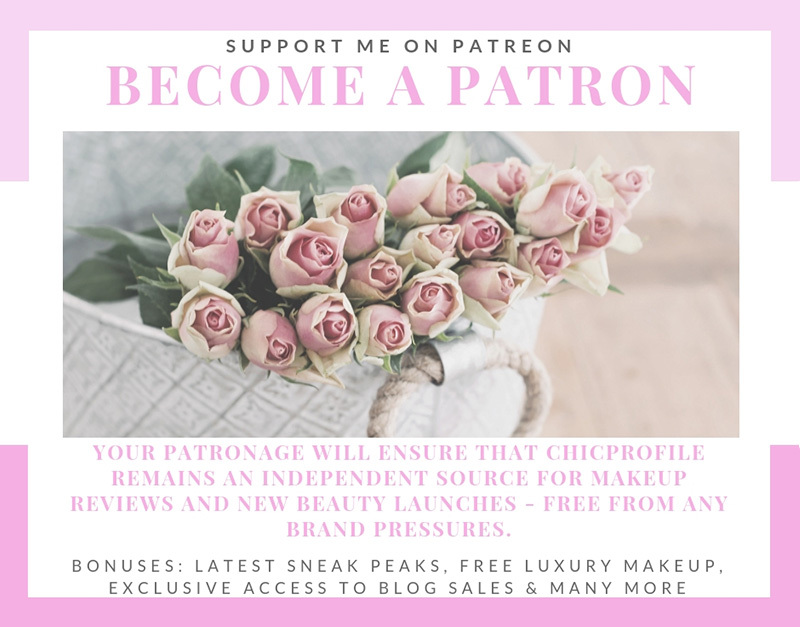 As you probably know by now if you are reading Chicprofile long enough, I’m not really a fan of full coverage face products. So trying out the Overachiever Concealer was a real challenge for me. Huda Beauty Overachiever Concealer ($30.00 / £23.00 for 10 ml / 0.34 fl oz) comes in 20 shades from light to dark. My shade and the one I’m reviewing today is 08B Cotton Candy. Let’s talk about packaging for starters, which is quite new for a concealer. The Overachiever Concealer comes in a sleek, squeezable tube with a zamac metallic tip. Skincare products have this type of applicator tip. I used to have eye creams with the same tip, a special one from Guerlain. It’s the perfect applicator tip to give you an instant sensation of fresh and cooling effect. It helps de-puff your under eye area, stay cool and remove your under eye bagginess. This is a very luxurious tip I must say and it really does a pretty cool job. So that’s a yay for the packaging from me personally. Now quickly moving on to the color range, I definitely think there’s space of improvement. I do hope Huda, will extend the foundation range especially for darker skin tones. Talking about pigmentation next? Well this concealer is packed with 31% pure pigment and multi-action skincare actives. I was truly impressed that in one swipe it can deliver such a rich color and opaque color coverage. 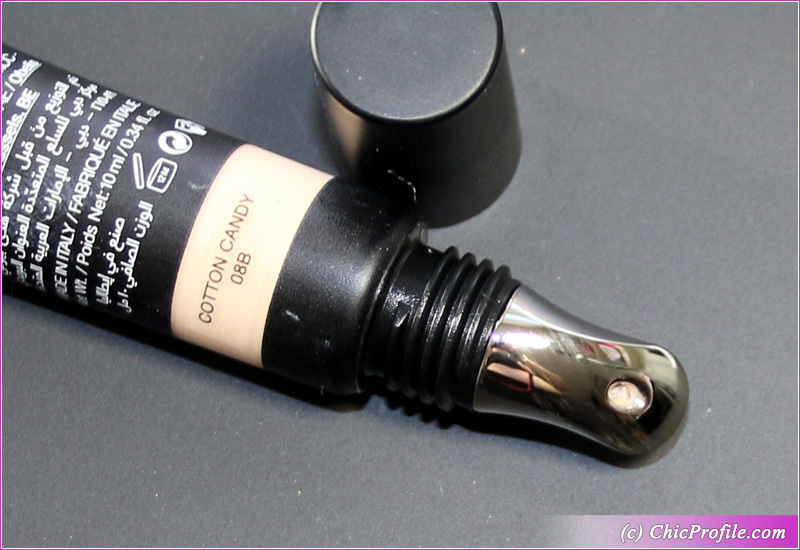 I mean if you are looking for a serious coverage in your concealer – who doesn’t when they want to hide skin problems 🙂 – this one is the answer. You know that I personally don’t like to wear a full coverage foundation that often and I keep my makeup very light (as long as it includes some pink eyeshadow). So basically having a concealer so pigmented as the Huda Beauty Overachiever working together with a natural coverage foundation for me is the perfect combo. I prefer a more intense coverage from my concealer and a soft, natural finish with semi-opaque coverage from my foundation. This baby can hide anything from dark circles, redness, hyperpigmentation, age spots and discoloration. It has a luminous matte finish with a medium thick consistency. I love the way it applies as it gives me time to blend it out and does dry out too fast. I like that it doesn’t settle down into my fine lines from my under eye area. Personally, I don’t apply to much because it is very pigmented so a little goes a long way. I find it best to apply just a little and blend it very well and gently set it with powder. My skin type is combination and I’m well over 30’s, I have fine lines so I like to keep my makeup pretty light. I’m not abusing my concealer or foundation, rarely wearing full face makeup or full coverage foundations. You can actually use the zamac tip to blend out the product (if you use a little amount) and massage it into your skin. If you apply too much it will tend to sink a bit into your lines so you’ll have to bake with a loose powder. Just try applying the concealer after your foundation and see how much coverage you really need. Even though is full coverage I like how natural and lightweight it feels on my skin. I don’t know if you remember but I didn’t get along well with Huda Beauty Faux Filter Foundation (review) so I’m really happy to love this high coverage concealer. I don’t have skin problems other than dark circles, small skin imperfections or just a crazy pimple from time to time. This concealer really helped me even on those days when I was looking very tired from lack of sleep and it made me look fresh and more youthful. I definitely think women of all ages can enjoy it, just make sure to apply it lightly. It does a great job, it blends effortlessly with your fingers or a makeup sponge. It also has long-wearing polymers that provides water-resistant, transfer-free coverage all day long. Throughout the day it maintains that fresh, vivid looking skin from my under eye area. I personally didn’t need to touch it up throughout the day, it remained matte finished, without caking. Just a bit after 10 hours, I noticed how it very slightly sank into 2 of my fine lines from my under eye area. That’s actually considered a great result for me, as other concealers do tend to look cakey and emphasize those fine lines pretty bad. 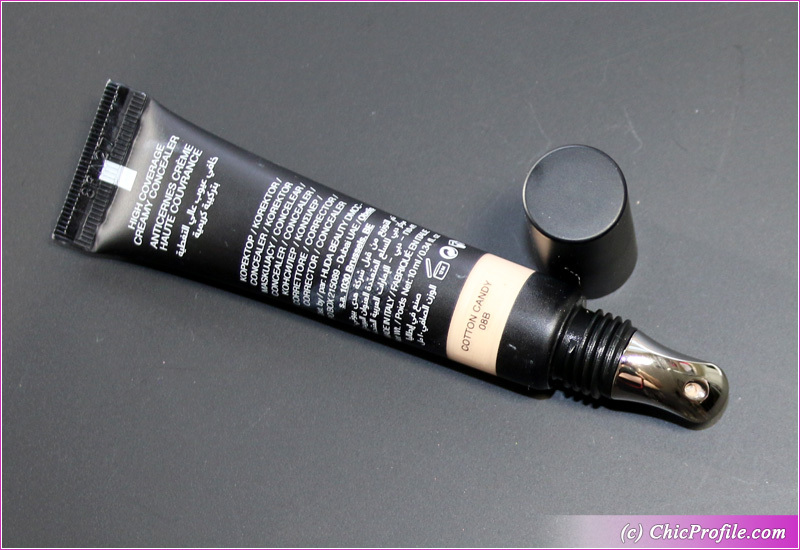 There are plenty of active skin care ingredients to be found in this concealer too. Green Tea that helps reduce discoloration or Persian Silk Tree extract that acts as an anti-inflammatory. Jericho rose extract soothes and moisturises and caffeine rejuvenates and wakes up skin. I’m honestly saying that is one concealer that I’ll be purchasing again after I’ll finish this one. 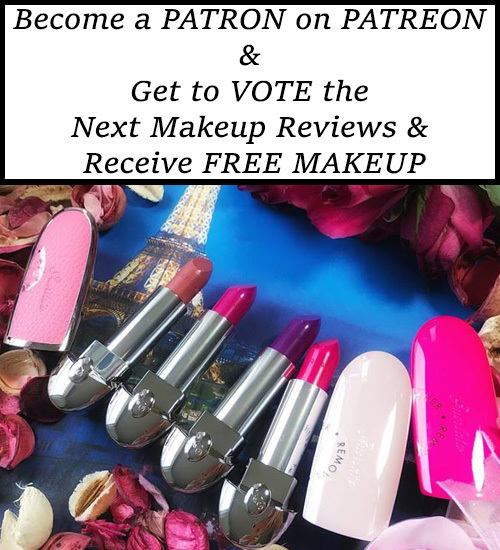 Is a Huda Beauty product that got me really excited and actually delivered great results.